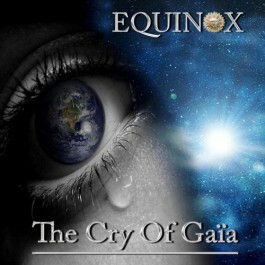 Equinox is a musical project created by the official Farida Guitars guitarist, Inophis. Four world-renowned musicians with great stage experience. Multiple influences such as Jazz, Metal, Classical Music, Folk or Pop. Originally released in 2015 and warmly welcomed worldwide (but available only in digital format), "The Cry Of Gaïa" is now available on CD physical format ! Recommended if you like : The meeting of Metal music and Symphonic music combining strength and beauty, rage and emotion, beauty and imposing !